Behaviors characteristic of autism and ADHD emerge in early childhood, yet research investigating their comorbidity has focused on older children. This study aimed to explore the nature of the relationship between autistic-like traits and ADHD behaviors in a community sample of 2-year-olds. 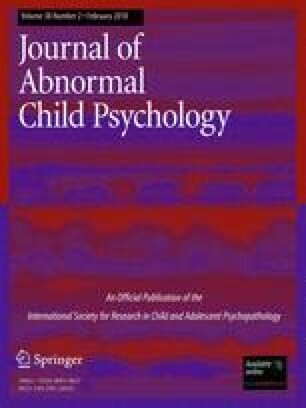 Twins from the Boston University Twin Project (N = 312 pairs) were assessed by their parents on autistic-like traits and ADHD behaviors using the Childhood Behavior Checklist. Phenotypic analyses showed that after controlling for general cognitive ability and socioeconomic status, autistic-like traits (total scale as well as social and nonsocial subscales) correlated positively with ADHD behaviors (r = 0.23–0.26). Structural equation model-fitting analyses revealed that there were modest shared genetic influences between ADHD- and autistic traits (genetic correlation = 0.27) as well as some common environmental influences explaining their covariation. Implications for identifying shared biological pathways underlying autistic-like traits and ADHD behaviors are discussed.